euforia - Join "Recipes for Wellbeing" next wellbeing retreat! Join "Recipes for Wellbeing" next wellbeing retreat! An increasing amount of research points to the rising levels of burnout for entrepreneurs and social entrepreneurs. Reaching this point of extreme physical and emotional fatigue inhibits changemakers’ ability to thrive and to create positive change in the world. Recipes for Wellbeing wants to find solutions to these challenge by creating and spreading a culture of wellbeing in the field of changemaking. How can you get involved? Go to our online platform to discover a diverse collection of recipes to cultivate wellbeing in your everyday work and life. 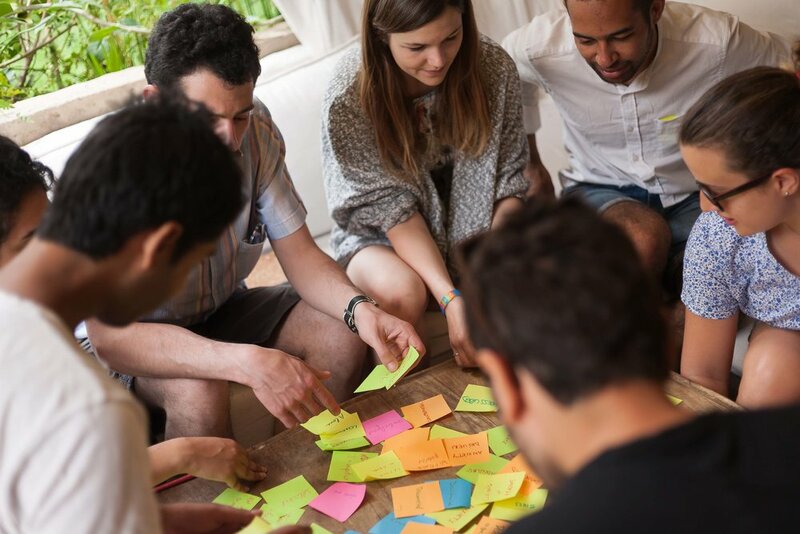 If you want to take your commitment to wellbeing to the next level, JOIN our next wellbeing retreat in Palermo, Italy with fellow changemakers from Europe and the Middle-East. It will take place from the 18th (11am) to the 20th (9am) December. The participation fee is of 100 euros and you would need to cover for your train/flight, the accommodation is all covered by Recipes for Wellbeing. This is a unique chance for you to start 2017 with a boost of wellbeing. Want to join? Write an e-mail to alessia@euforia.ch.